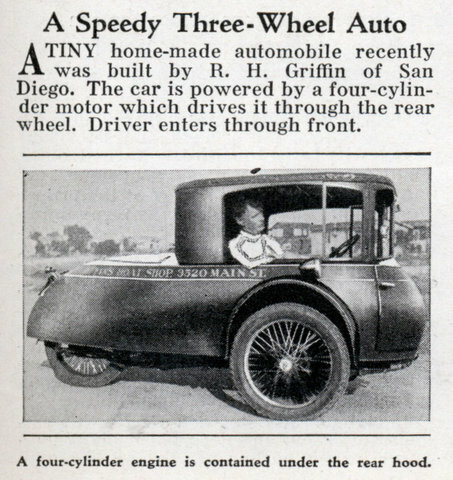 A TINY home-made automobile recently was built by R. H. Griffin of San Diego. 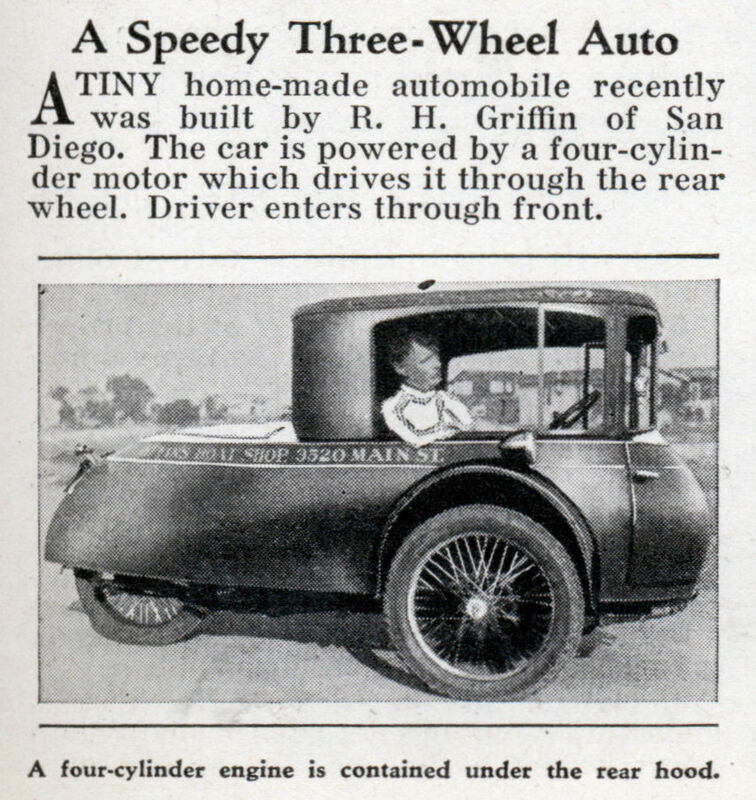 The car is powered by a four-cylinder motor which drives it through the rear wheel. Driver enters through front. he looks like one of those big head caricature drawings….